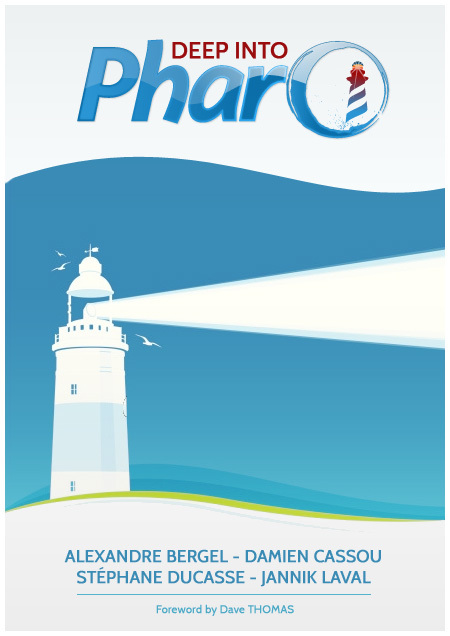 Pharo is a clean, innovative, open-source, live-programming environment. Get immersed in a world of living objects! 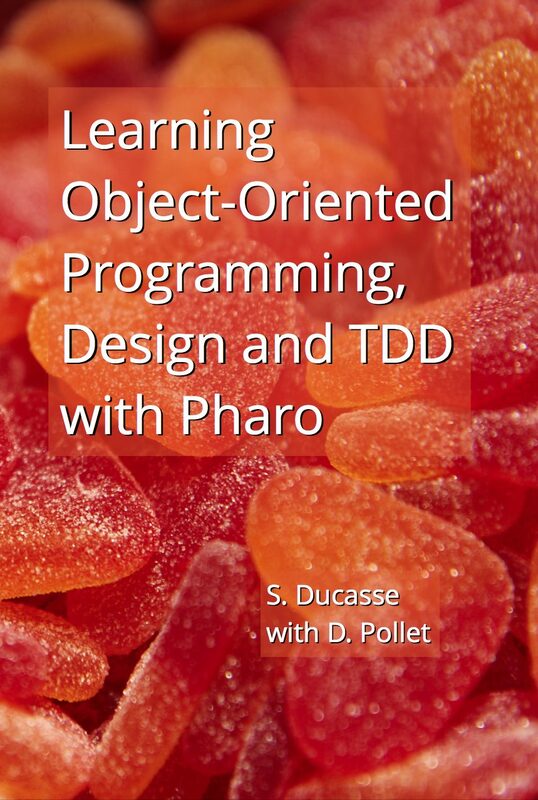 Learning Object-Oriented Programming, Design and TDD with Pharo is a new book on OOP and OOD using TDD and presenting essential aspects of object-oriented programming in Pharo. Far too many good chapters or material were written and pending to be part of a future book. But producing a good book is a huge task, so we decided to divide the work and produce autonomous and focused booklets. 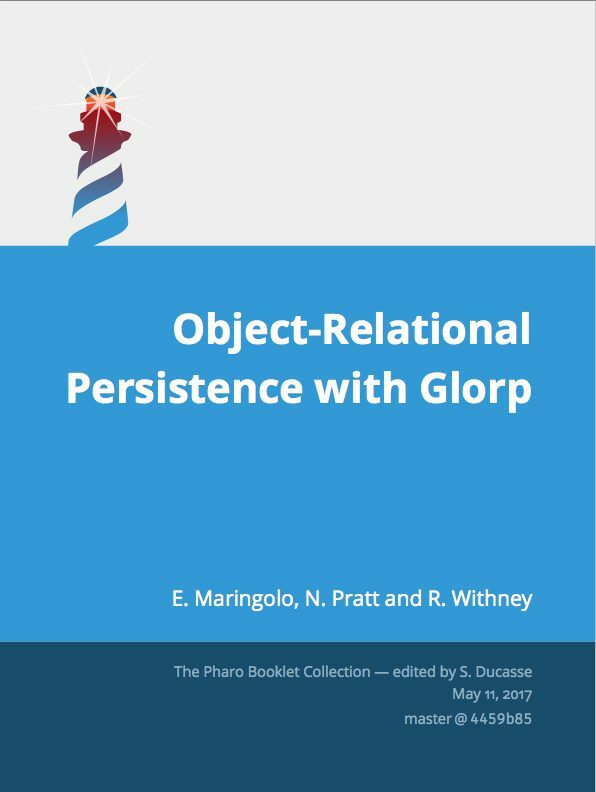 We are expecting to have GLORP, Magritte, Voyage, Reddit and probably much more as booklets. If you have material just contact us. We will migrate the current one to a good format and offer lulu printing. 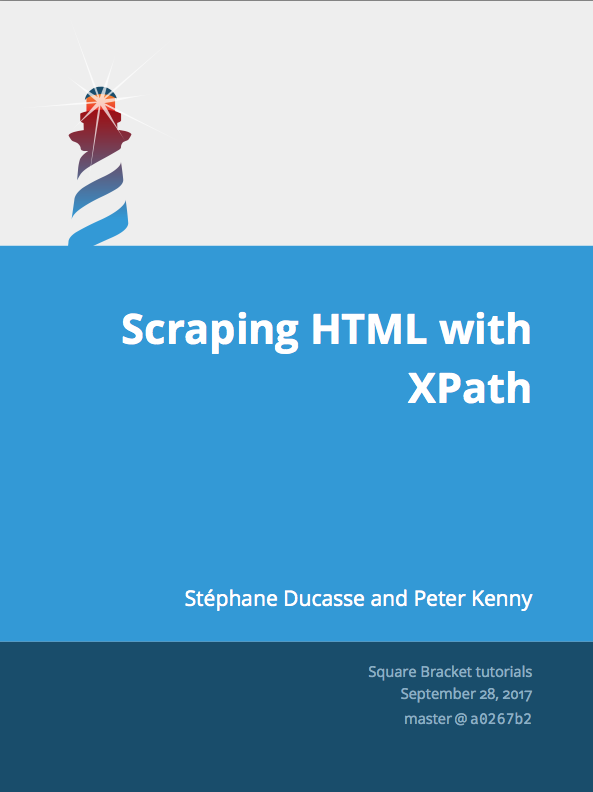 XPath is a powerful technology. In this tutorial we show how we use it to scrap information from HTML page. 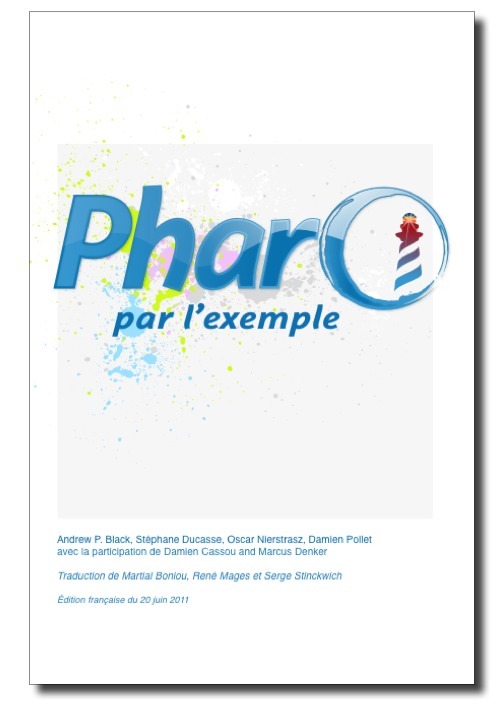 Booklet written by S. Ducasse and P. Kenny. You can find the latest version here. 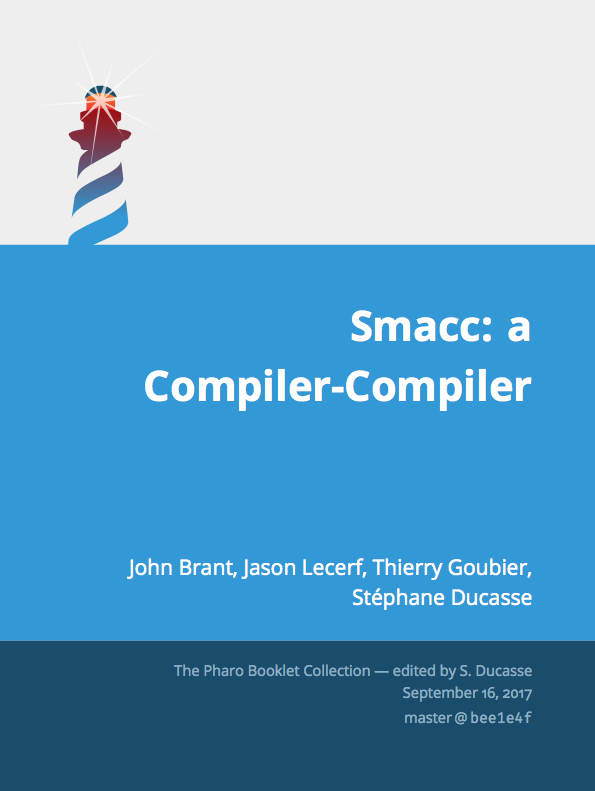 Smacc is a powerful frameworks to parse languages. 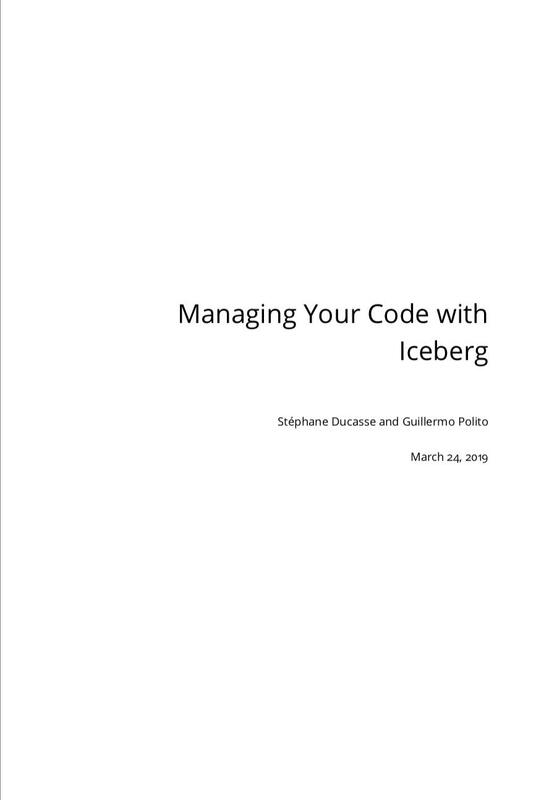 In this book we show how we use it first with a tutorial. Then we describe the advanced aspects of Smacc. Written by J. Brant, J. Lecerf, T. Goubier S. Ducasse, and A. P. Black. You can find the latest version here. Here is a collection of booklets that are not technology oriented but will teach you fundamental aspects of computation. 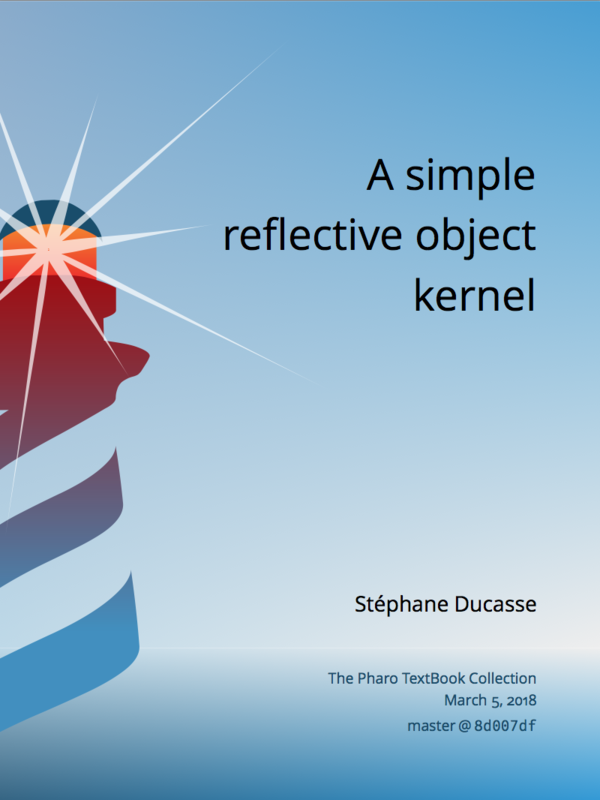 "A simple reflective object kernel" explains ObVlisp a simple reflective kernel and it shows how to build step by step this kernel based on two classes: Object and Class. Booklet written by S. Ducasse. 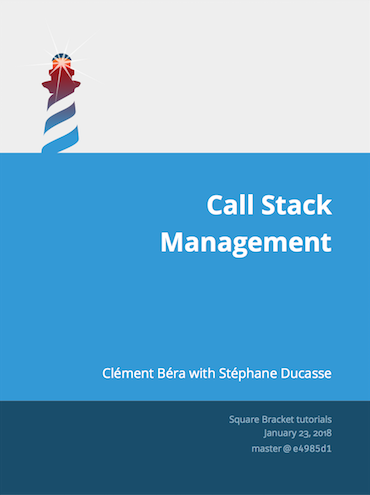 "Call Stack Management" explains how a call stack is represented in virtual machines. Written by C. Bera with S. Ducasse. 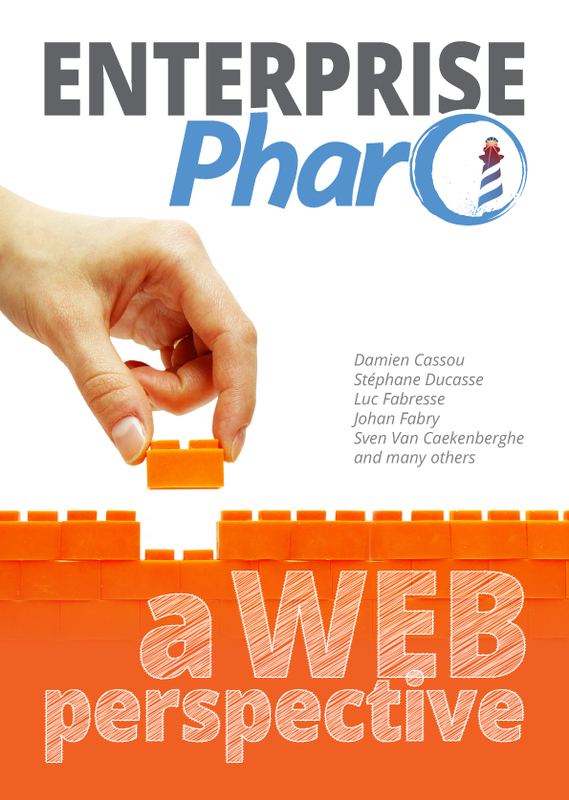 "A Little Scheme in Pharo" explains how to build a simple interpreter for a language such Lisp or Scheme with a particular focus on closures. 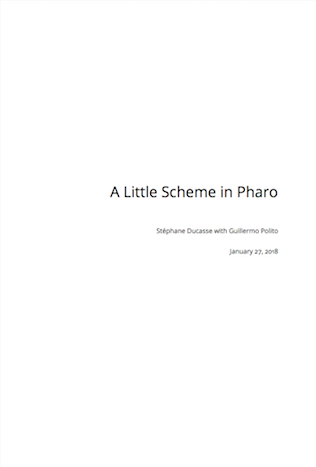 Written by S. Ducasse with G. Polito. Some booklets need feedback. There are listed below. Usually draft versions have a white cover. 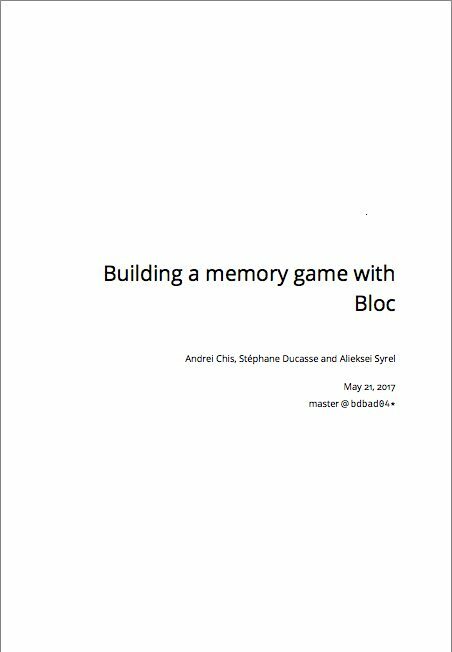 Bloc Memory Game (alpha) is a first tutorial on Bloc the new graphics core for Pharo. 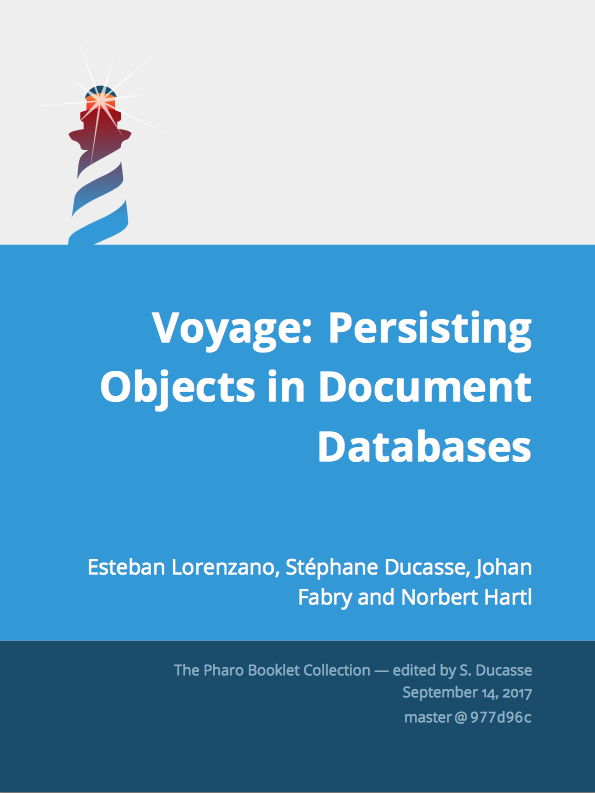 Booklet written by A. Chis, S. Ducasse, A. Syrel. 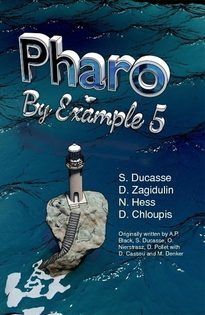 Numerical Methods In Pharo is a book from Didier Besset on numerical methods. 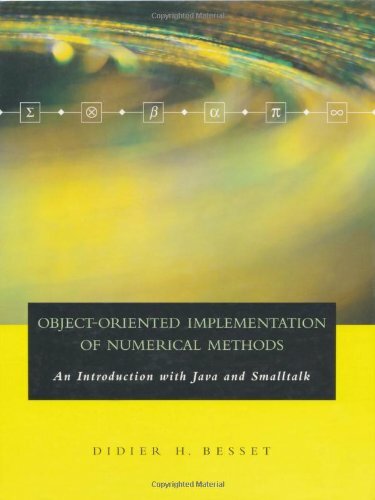 It covers many topics related to data science: function interpolation, iteration, zeroes, linear algebra series, statistics, estimation, minimisation, and data mining. 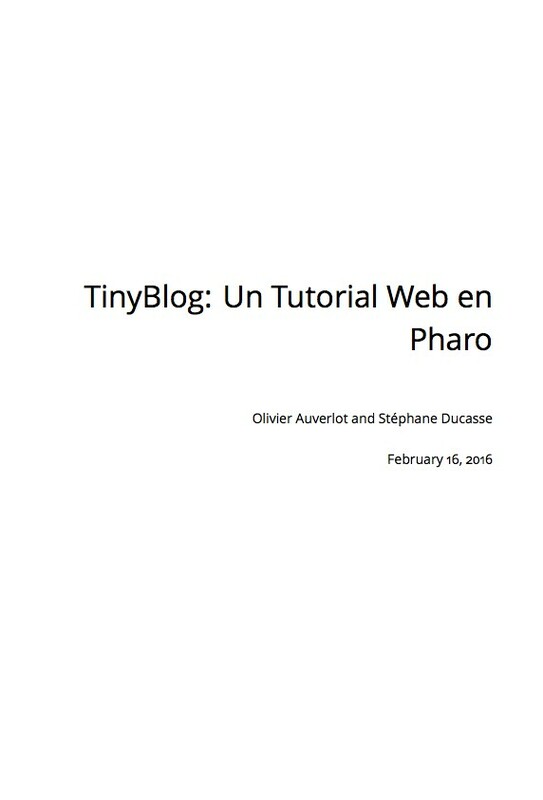 Tiny Blog is a tutorial from Olivier Auverlot and Stéphane Ducasse. 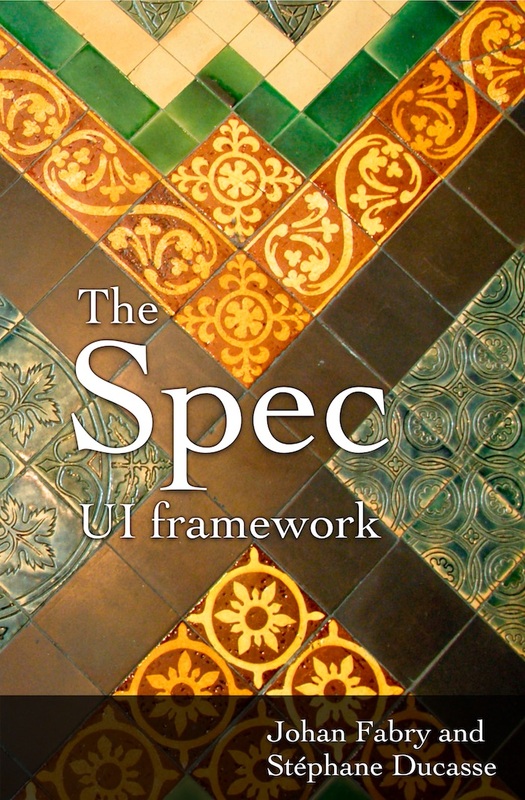 It brings you step by step through the building of a little web blog application. 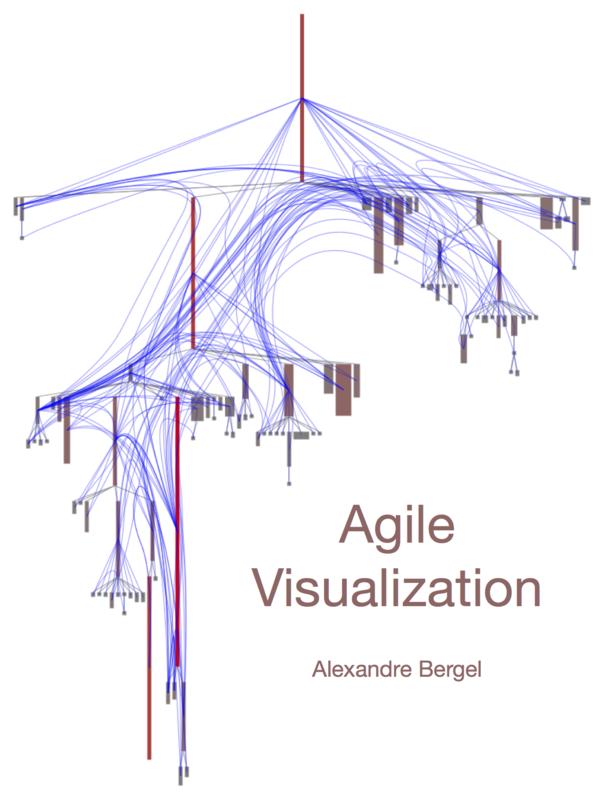 Agile Visualization covers aspects that are relevant for practitioners, businesses, and academics to successfully design and implement highly interactive visualizations. 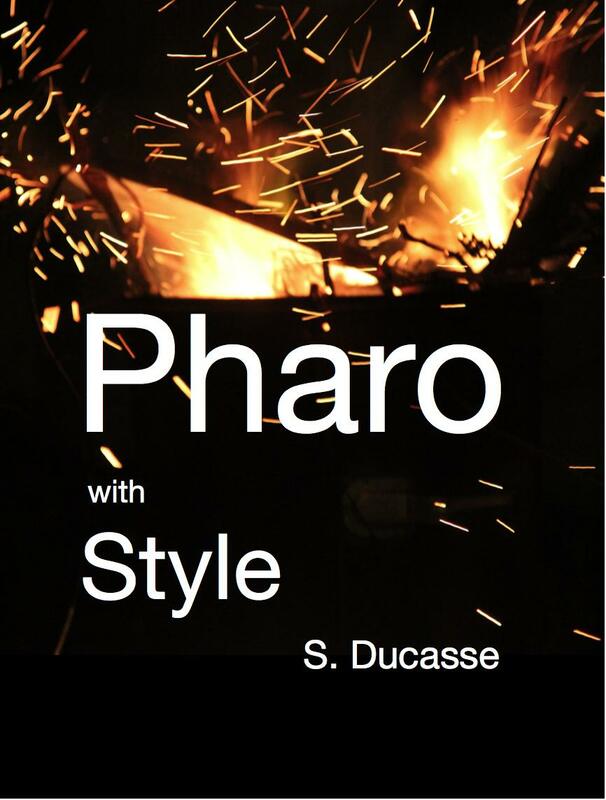 Pharo by Example, intended for both students and developers, will guide you gently through the Pharo language and environment by means of a series of examples and exercises. 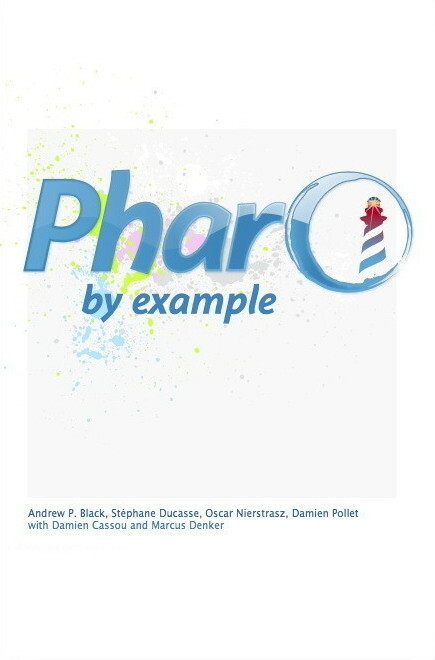 Pharo par l'exemple est la traduction en de Pharo by example.